Gas Patio Heaters provide a fast, flexible, and safe outdoor heating alternative. 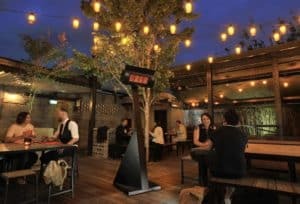 A unique and innovative new Patio heater. The Shara X13 Patio Heater keeps you from wasting heat and making sure you and your guests are comfortable on the chilliest days and nights. Using a unique Aluminum reflector. You can tilt your heater at any angle and keep the heat focused on one area. A large and versatile heater. 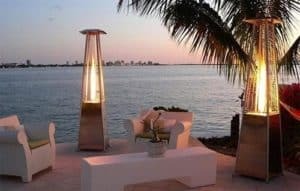 This superb Patio Heater keeps you from wasting heat and making sure you and your guests are comfortable on the chilliest days and nights. Using a unique Aluminum reflector. You can tilt your heater at any angle and keep the heat focused on one area. Meanwhile the included double wall technology keeps and distributes more heat saving you money on gas. Heatstrip Portable Heater For the chilly nights when you need a bit of warmth. 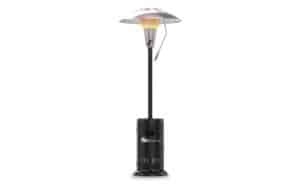 This portable heater is perfect for gardens, balconies and outdoor dining areas at home or commercially. The new Heatstrip Gas Heater incorporates world leading design, performance and efficiency while retaining a robust build quality, style and elegance of use and form.